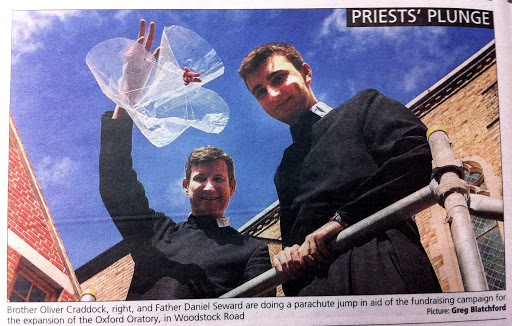 News of the parachute jump on the 26 September is spreading, and it seems that people are quite keen for Fr Daniel and Br Oliver to jump out of a plane! The current total is £5,091.26. If you want to add your own voice of encouragement, you can sponsor online at www.justgiving.com/Oratory-Jump or in person after any of the Sunday Masses.